WDS Component Parts has introduced a range of stainless steel lift off hinges (or detachable hinges) for cleanroom environments where corrosion resistance is critical. The development of these new parts has been built on the company’s experience in the medical and healthcare sectors, and provides a range of hinges that is suited to the broadest spread of cleanroom applications. 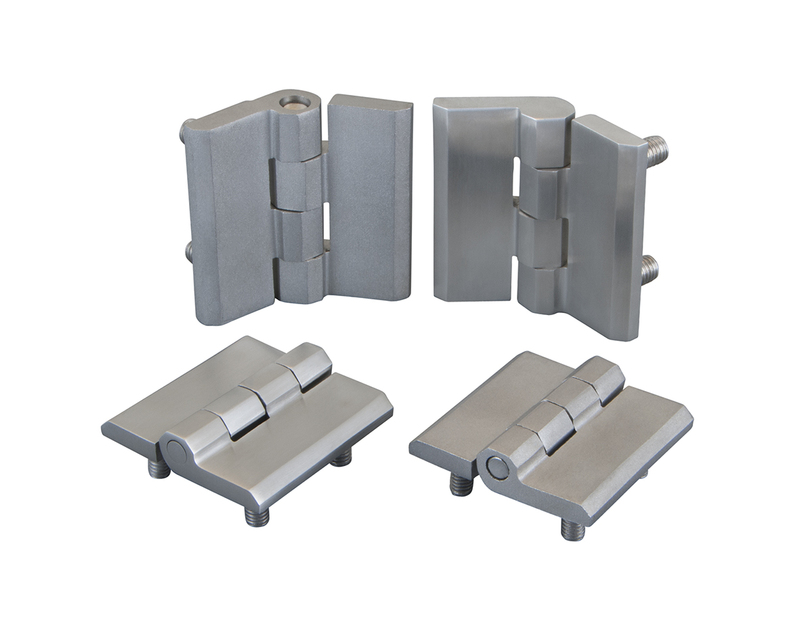 With plates and hinge pins manufactured in 316 stainless steel, the hinges are suited to use in environments that need to be disinfected and/or washed down regularly and reliably to prevent cleanroom contamination. The 316-stainless steel is an austenitic grade that contains molybdenum for improved corrosion resistance. This highly effective protection makes the hinges suitable to use in environments where harsh disinfectants of high pressure hosing will be used as part of the washdown process. Available in polished or matt finishes, the stainless-steel lift off hinges have a 50x50mm footprint. The symmetrical layout with ±120° of motion enables either left or right-hand applications. WDS already offers an extensive range of hinges and the new additions mean that virtually all possible application needs can be addressed. This means that designers and machine builders can meet all their hinge requirements from a single source.